Want less stress? There’s no other way; you gotta work for it. 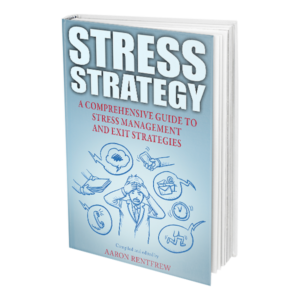 Download this eBook now to learn some proven strategies that help recognize and deal with stress as well as recommendations to avoid future stressors. Stress is productivity killer! When you can operate without it, you have a distinct advantage. Sometimes it’s as simple as recognizing that there’s a problem and deciding to do something about it. If you’re struggling with stress and tension, there aren’t many better decisions you can make than to deal with it! You won’t get to far with your other goals until you do.